It’s Throwback Thursday so let’s go back through Upper Deck’s trading card history and come up with a fun giveaway. 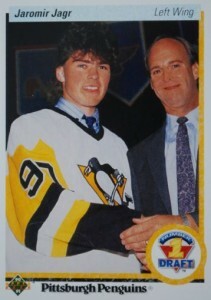 Yesterday, The Hockey Writers released an article on the Top Ten Hockey Card Mullets and we are proud to say that Upper Deck’s cards were on the list several times including Owen Nolan, Steve Smith, Bob McGill, Vladimir Vujtek and claimed the #1 spot with Jaromir Jagr’s 1990-91 Upper Deck card. So this week we are switching it up a bit and asking our fans to submit a throwback photo of themselves with a mullet! Please email your photo to upperdeckmarketing@upperdeck.com to score 5 packs of SPx Hockey! You can only submit one photo per person/ email address. Please state your first name and last name initial upon submission. Photos are moderated so keep them clean and in good taste as we have a lot of youngsters on these pages. Photos deemed inappropriate will not be posted or eligible to score card set(s). You have until Friday morning, February 27th at 8:00 a.m. PTto submit your photo before this promotion is closed. 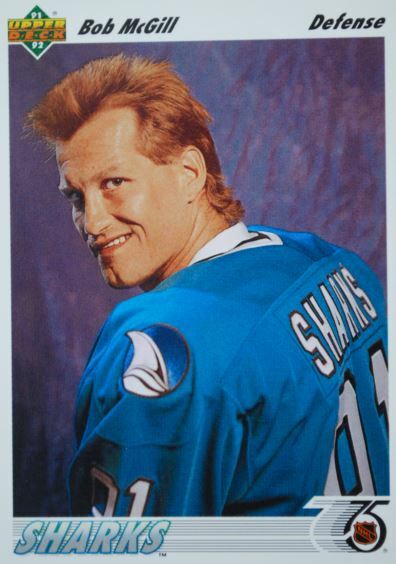 Upper Deck will review the photos submitted and select one (1) fan who we believe has the best and funniest mullet. The customer selected will be contacted via email after the promotion is closed. All submissions will be posted to Upper Deck’s Facebook page during and after the promotion has closed. PICK ME TO WIN PLEASE! Sorry, I cant hear you with this party going on behind me. Could you spare a Sports Card for my grandson who started all of this with his comment “He’s got crazy hair”!! ?